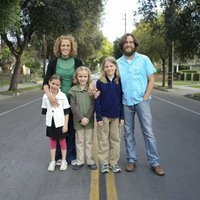 Join Matt and Eva Webb, as they take their three young children on a yearlong adventure across the US on their One Year Road Trip to interview kids in all 50 states who are making real change in the world. And in the process, the Webb family expects to be transformed as well. The Webbs are a family of 5 storytellers, who are committed to activating the potential of children to be Change-Makers. By celebrating amazing kids, already doing amazing things to change the world, they believe they can help other children believe in themselves and create sustainable movements of change as well. The documentary is just the beginning. We are also working in conjunction with a local business consulting incubator (dcoEdge) and psychologists to learn from our interviews exactly what factors shape kids into change-makers, and to mentor and develop strategies to foster those behaviors in future generations. Filmmaker, semi-pro ice cream maker, and bourgeoning soup master. 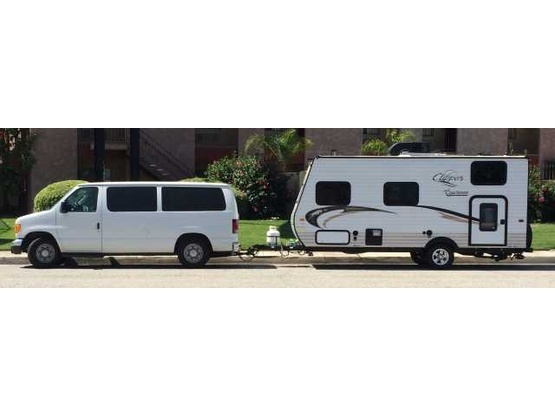 White 2015 Coachman Clipper 17' bunkhouse pulled by a 2006 white Ford E150 cargo van. Back of the trailer and both sides of the van sport our simple One Year Road Trip logo and slogan, "Driving a Generation of Generosity". Matt, Eva, Jack, Solveig and Evie Webb came to boondock at our place in the middle of the week. We went to work every day as usual, and finally caught up with their busy schedule after a few days and got to meet them. They were kind, appreciative and respectful. Except for their trailer parked on the side yard, we hardly even knew they were there. If you want to feel like your long lost relatives have finally come to visit, welcome this bunch to your place! The kids are simply wonderful, very well behaved and eager to help with anything. Young Jack is quiet the gentleman. I really enjoyed having them visit & they stayed 3 nights before continuing their once in a lifetime journey. I would invite them back in a heartbeat. Mat and Eva and their three children were wonderful guests. They are spending a year traversing the country documenting their travels and documenting extraordinary young people who have made a positive difference in their communities. They are kind and considerate, have interesting stories to tell, and we were sorry they couldn't stay longer.